After almost a year of emails, tic-tacs, mud-slinging and shenanigans, the day has come – it’s time for us to select the next POTUS. To, um, celebrate and empower us, some brands are pulling out all the stops (or not). 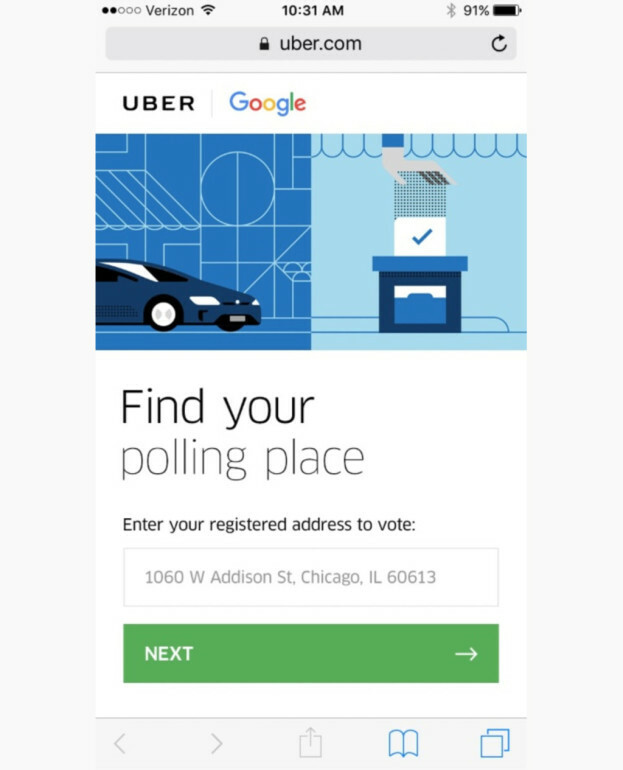 Today the Uber app will feature a Google-powered search that automatically finds your polling place and orders a car to get you there. A reminder will pop up in the app encouraging users to vote and asking them to enter the address where they are registered. 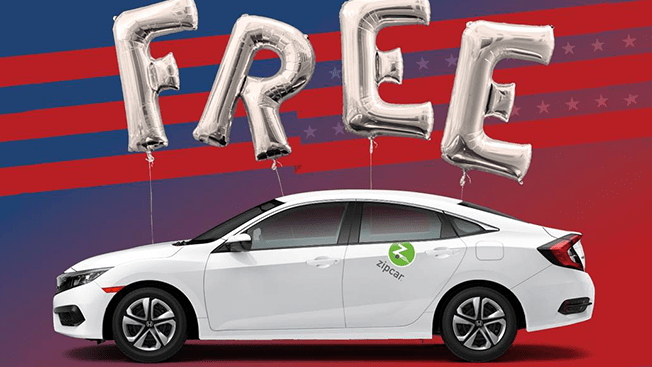 Meanwhile, Zipcar is making more than 7,000 cars free on election day to help its members get to the polls. The vehicles can be reserved on the digital player’s website or mobile app. Of course, there’s a bigger part of the Boston-based company’s promotion—people who signed up for the company’s $7-a-month service before today will take advantage of the offer. Zipcar offered cars for 50 percent off on election day in 2012, and it more than doubled its reservations compared to a typical Tuesday. And then there are those who want us to forget it all. Encouraging viewers to “escape the election,” The Weather Channel will counter-program the final installment of the most bizarre and contentious presidential race in years. Starting at 3 p.m ET the channel will air a marathon which will include the most beautiful, awe-inspiring, and calming weather video and scenery ever caught on tape.